I live in Pasadena and needed to go to a trade show in Las Vegas. 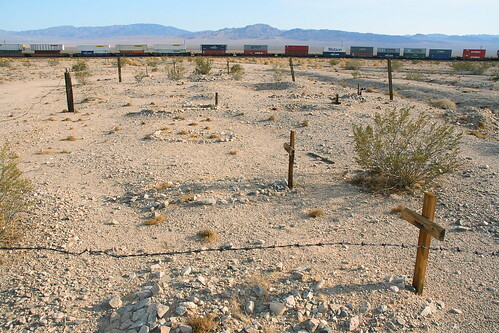 I thought to myself, heck, one of my favorite places, the Mojave National Preserve is on the way. 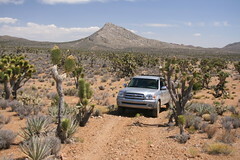 I’ll take the long way and drive though the Mojave National Preserve each way on my trip. Perhaps add a drive on Route 66 on the way back. Then I thought about where to stay, the Hotel Nipton is around an hours drive from Vegas and I could stay there and enjoy this unique place. It has so much more character than a Holiday Express. I departed Pasadena early Tuesday morning. I was able to work on the road (while stopped) by taking advantage of Sprint EVDO which is almost as fast as DSL. 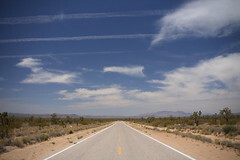 I stopped at Barstow and Baker to get some work done then entered the Mojave National Preserve near Cima Road. Did a little exploring, found a cemetery and a few other places I did not have time for on my last trip. 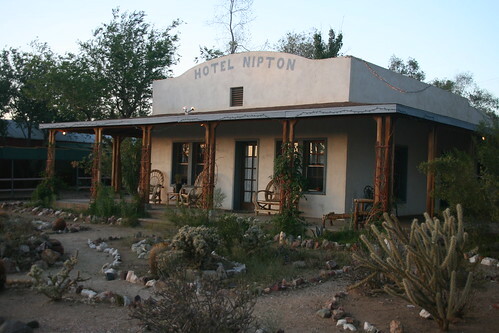 I arrived at the Hotel Nipton around 5pm. 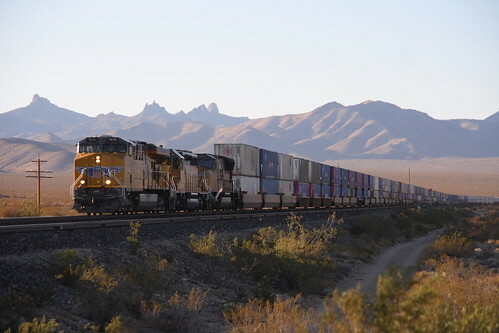 Wednesday morning a freight train woke me up around 6 am. I got ready and was on the road to the trade show in Las Vegas before 7am. I had the whole day to visit with customers and suppliers. I drove a different highway back to Nipton and saw some amazing desert sunsets. 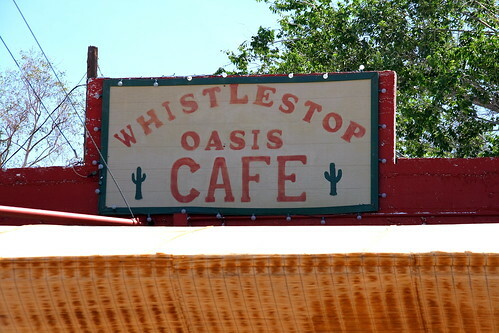 Thursday morning I was up again early and enjoyed a great bacon and egg breakfast at the the Whistle Stop Cafe next to the Hotel Nipton. 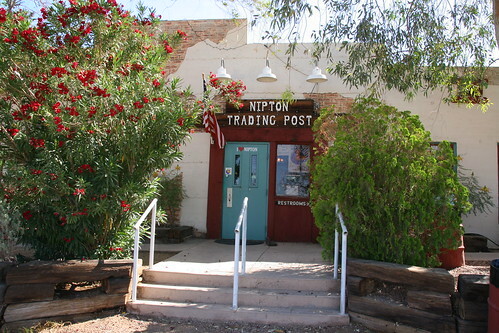 I bought a few books, Pilgrams in the Desert, and Guide to 50 Interesting and Mysterious Site in the Mojave Volumes 1 and 2 at the Nipton Trading Post. 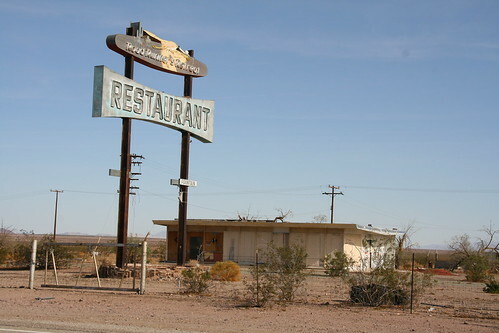 On the way out i drove through the Mojave National Preserve and saw Thomas Place, the Essex junk yard, Amboy and Bagdad. 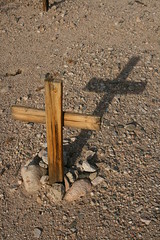 I also found the Bagdad Cemetery which was marked on the USGS maps. This cemetery has around a dozen unmarked graves. This was an unusual trip since I don’t often travel without my wife and kids. I was able to stop as I please and take as many photos as I wanted without others waiting. 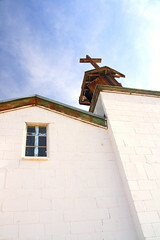 The weather was cooler than forecast, somewhere in the mid 80’s (f) with beautiful blue skies. The peak of the wildflower season had passed, but I took my kids camping here just a few weeks ago and we very much enjoyed the colorful desert.